This is probably the worst way to come to Belgrade, even though it might be the cheapest. 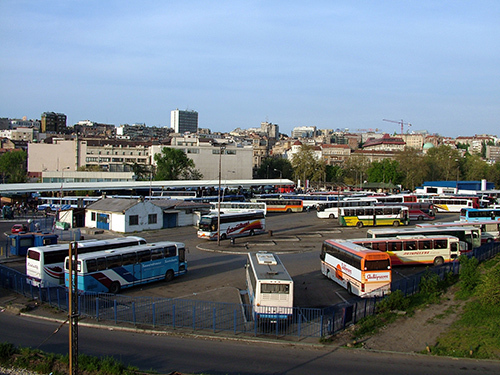 It might not be so bad if you are coming from Slovenia or Croatia, the bus will stop at either New Belgrade, or close to the Inter Continental Hotel or the Lasta station, which is still (soon will be moved) in downtown Belgrade. If you are considering traveling on local Serbian buses please think twice before you do.